The Boost theme is designed to work well on mobile devices. 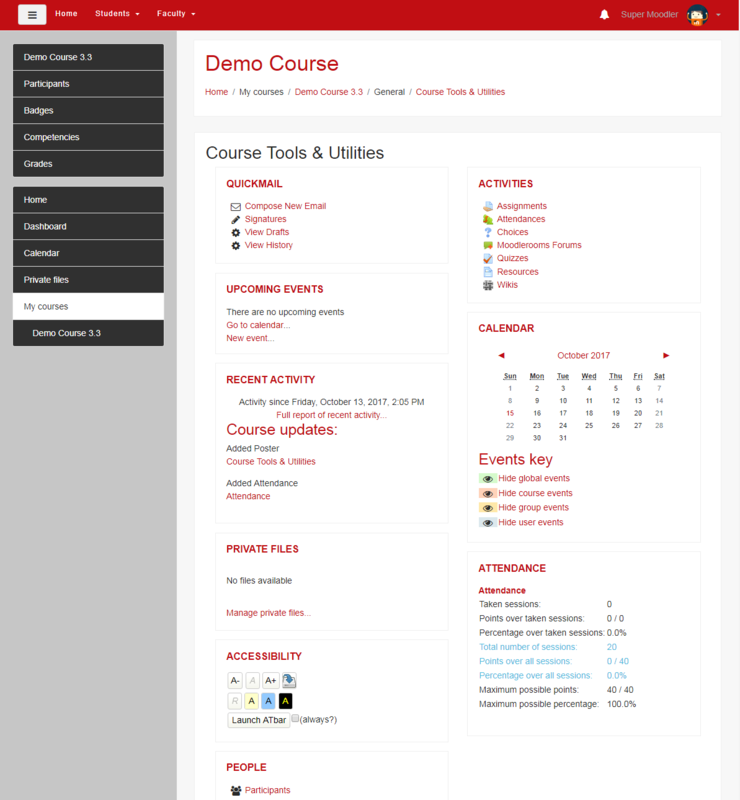 In this theme, when you view a Moodle course using a phone or tablet, course blocks are not displayed—they simply disappear. Blocks can be really useful, however, so we've found a way to collect blocks and display them on a page called a "poster." In this version, you'll be able to import a pre-configured poster page like the one shown below that will provide access to the latest news, upcoming events, course calendar, Quickmail, and much more. Look for instructions coming soon.